The fluffy cub was snapped on the bright Serengeti in Tanzania by Yaron Schmid, 48. Yaron, originally a vet, now leads wildlife safaris and owns his own company of YS Wildlife Photography & Safaris. 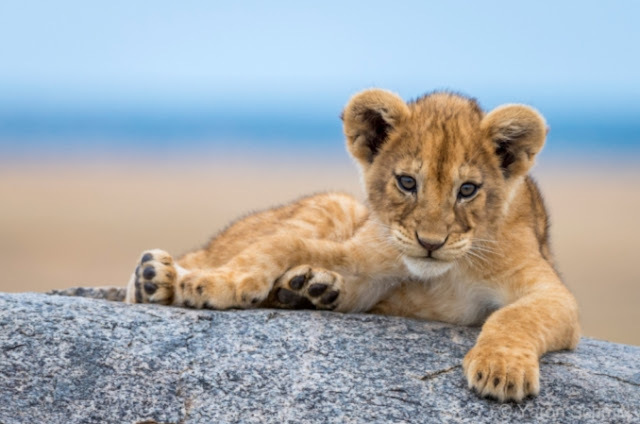 Yaron, who hails from Israel, said: “I’ve always loved animals and traveling, and wildlife photography is the best mix of the two. 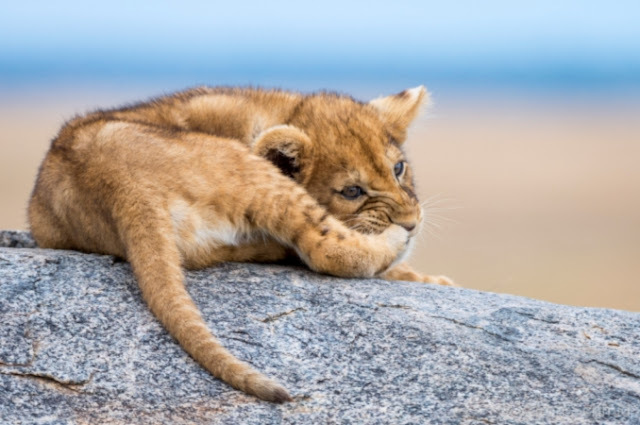 “While on a game drive in the Serengeti, we spotted a pride of lions on top of a rock formation (known as a “kopje”) near Namiri Plains. “This is an area known for big cats. There was one male, a few lionesses and many young cubs. The adults just wanted to sleep, while the cubs wanted to eat and play! “Their games began with trying to “catch” their Mom’s tail, which was swatting back and forth in exasperation. “When that didn’t rouse her, they gave up and turned their attention to themselves. 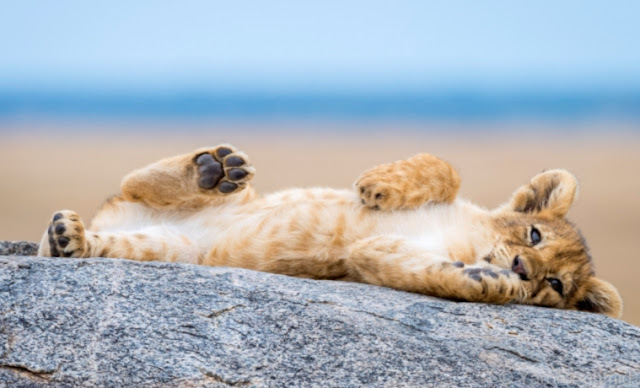 “This particular cub was very interested in his paws, and he kept biting, stretching, and touching them, which created some very amusing scenes. To me, he looks like he’s doing aerobics/yoga. “Africa is full of magnificent animals, like these lions, but they are actually endangered and need our help to survive. “One of the best things people can do to help animals is visiting them. 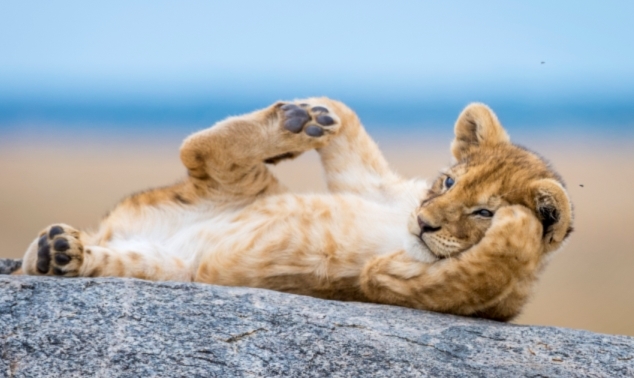 Responses to "Relaxing wild lion cub chills out in adorable pose"